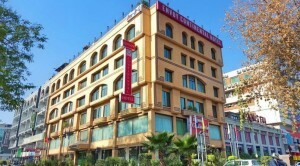 Envoy Continental Hotel is set in Islamabad only 12 km away from Chaklala Airport. 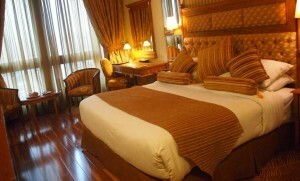 This property provides clean and comfortable rooms cooled with air conditioning. Free WiFi is available at all areas. The accommodation will provide you with a minibar, a work desk and a flat-screen TV. They also have an en suite bathroom featuring a bathtub, shower facilities and a toilet. 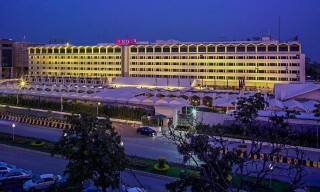 At Envoy Continental Hotel you will find a 24-hour front desk and a charming garden. Other facilities offered at the property include meeting facilities, a shared lounge and luggage storage. Barbeque facilities are available on-site. Both local Pakistani and popular Western meals can be enjoyed at the in-house buffet restaurant. Meals can be enjoyed in the room with room service. Blue Area is a great choice for travelers interested in food, scenery and sightseeing.